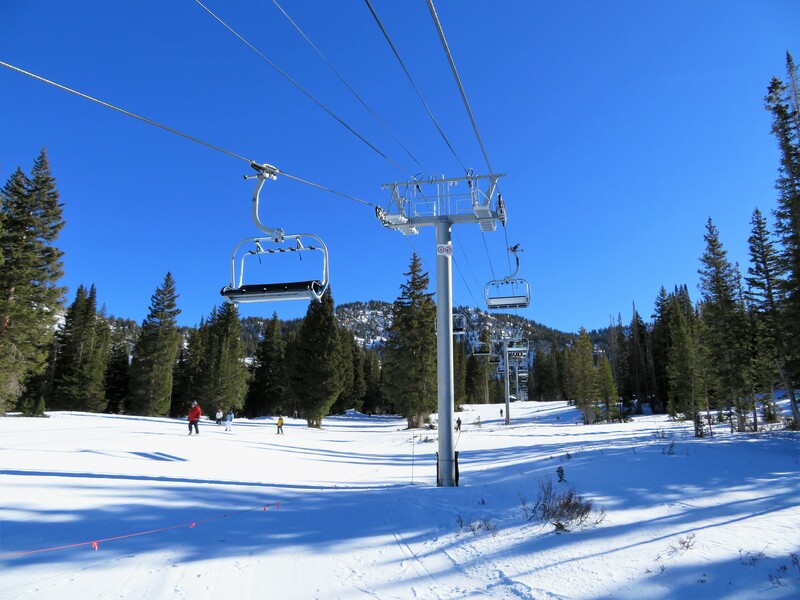 What if you could launch a new lift at your favorite mountain? Say, for instance, you owned the Jackson Hole Mountain Resort and wanted to upgrade the popular Thunder fixed-grip quad. Guests are seeking a faster ride but wind is an issue and you don’t want to overcrowd the storied Amphitheater and legendary Laramie Bowl. The neighbors to the north are going D-Line but the media facade doesn’t quite fit in with the Teton landscape. 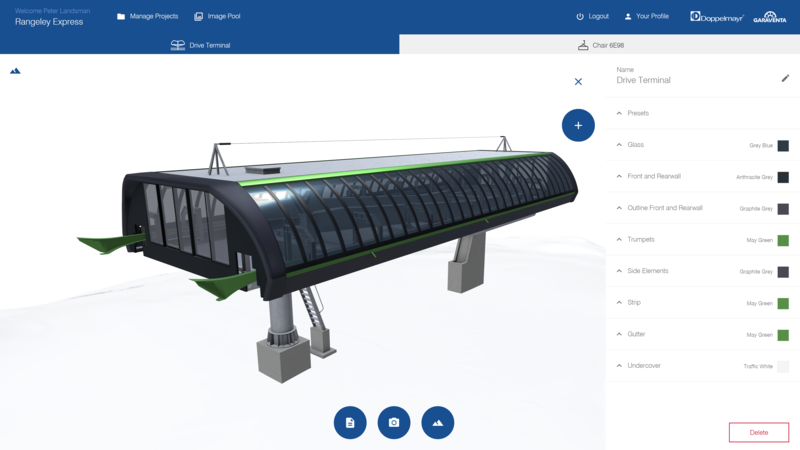 With Doppelmayr’s latest generation ropeway configurator, part of Doppelmayr Interactive, anyone with a computer can visualize the lift of their dreams. For Thunder, I came up with a modest capacity D-Line six place in gray and red. I spent way too much time testing out other hypotheticals on the new version tonight. 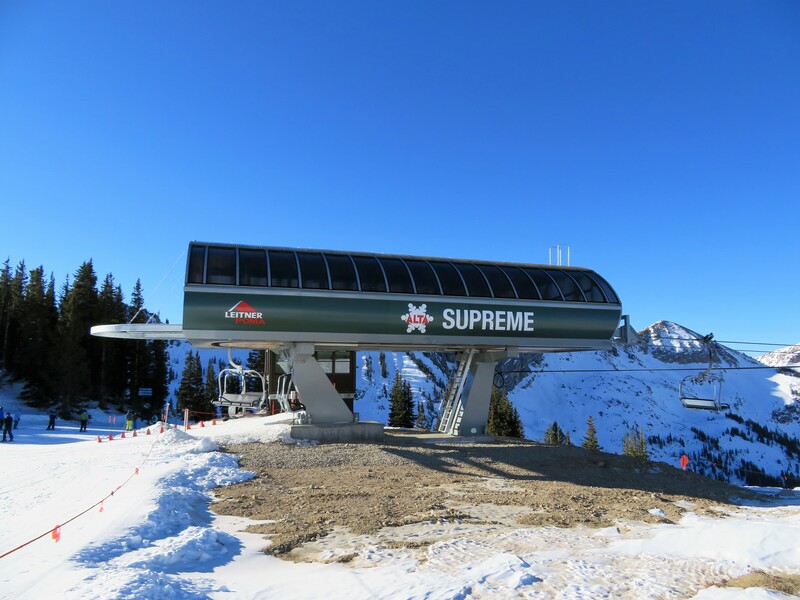 Another one: Arizona Snowbowl is considering Doppelmayr for its new base-to-summit combination lift. 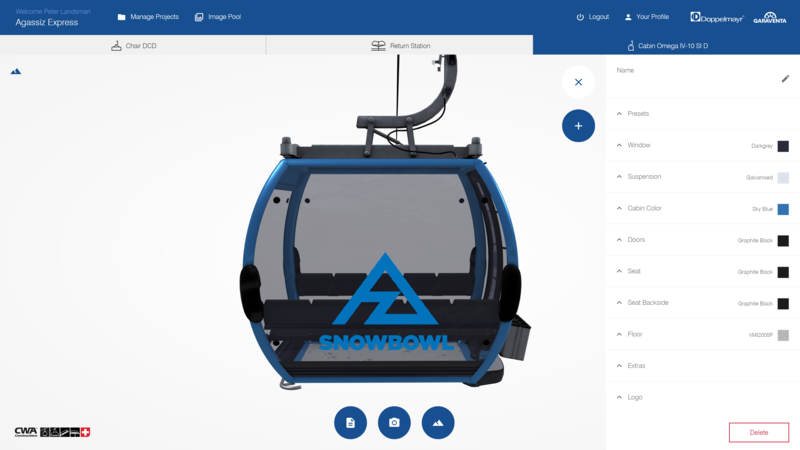 With the configurator, owner James Coleman could customize D-Line and non D-Line versions of six-passenger chairs and 10-passenger gondola cabins from anywhere. 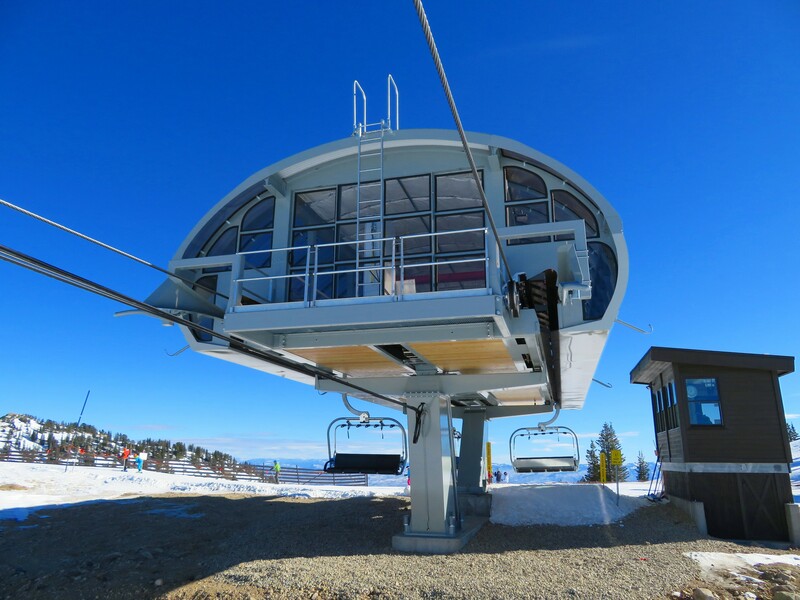 My mock up includes galvanized D-Line bubble chairs and and Omega cabins in Snowbowl blue. You can create whatever you like and then take a zoomable 360-degree spin. 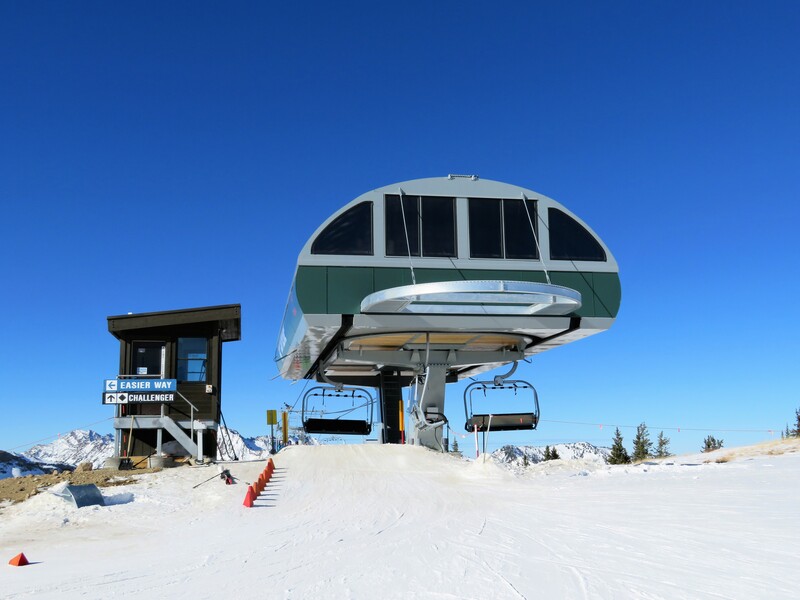 Last one: say a group of investors finally fronts the money to purchase the beautiful Saddleback Mountain in Maine and wants to build a signature lift to replace Rangeley up the heart of the mountain. No D-Line this time, simply a modern take on classic green and gray for a new UNI-G six-pack launching in late 2019. If only it was this easy! Just like a real lift, the possibilities are endless. Models now available to customize are 6E98 & 6DCD chairs, CWA Omega IV-8 LWI & Omega IV-10 SI D cabins, and UNI-G, UNI-G Vision, D-Line R1 & D-Line R2 stations. 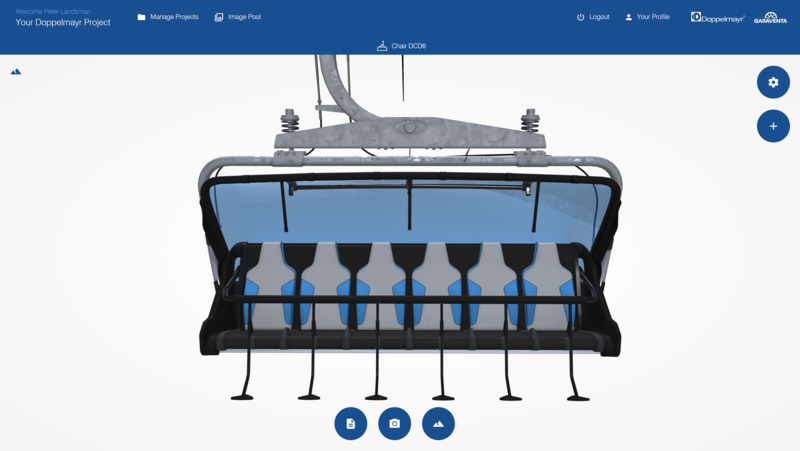 You can even upload background images and logos to customize your dream lift with any colors in the RAL spectrum. For those with access to the Doppelmayr customer service portal, your existing account works to save and send your creations. Pretty darn cool! 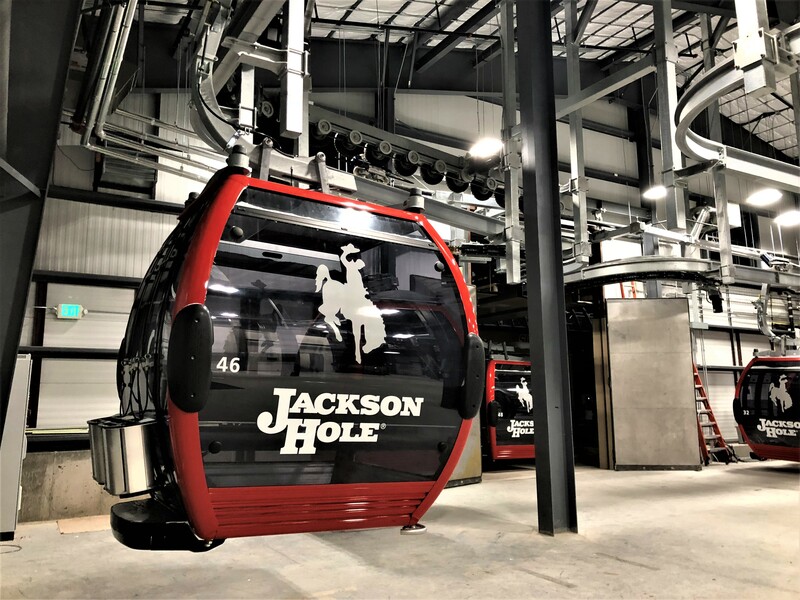 For the first time since their journey across the Atlantic, Jackson Hole’s newest gondola cabins slept inside last night. 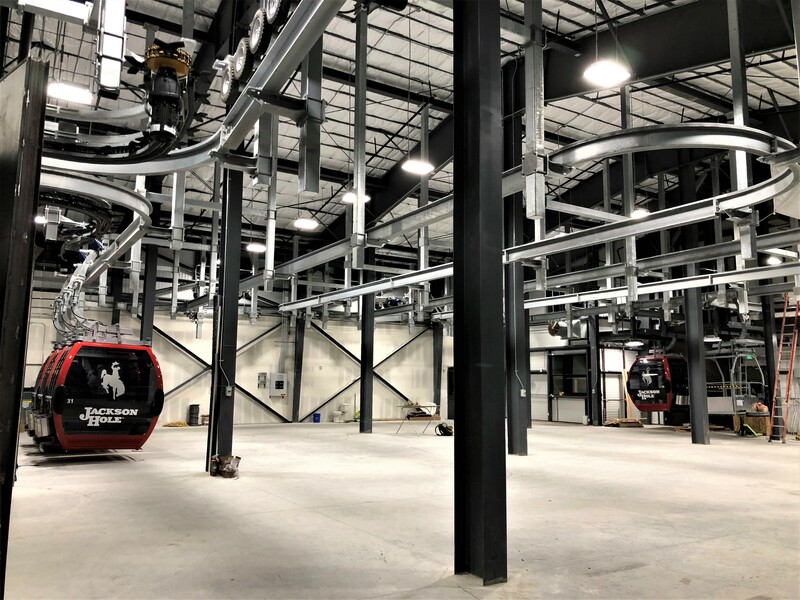 With a parking and storage facility officially commissioned at Sweetwater‘s Solitude Station, 48 luxury vehicles that cost tens of thousands of dollars each now have a world-class home that brings together the latest lift technology with proven principles. 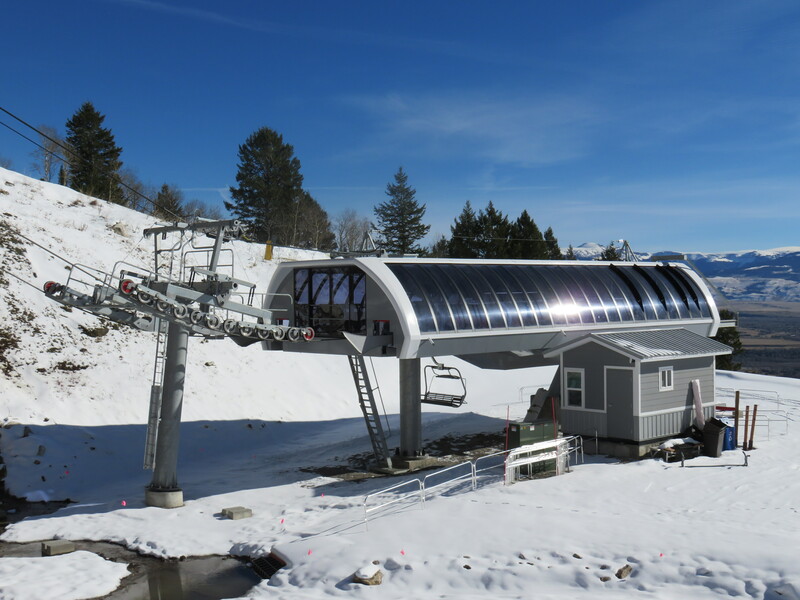 Jackson Hole Mountain Resort opened its Bridger Gondola barn in 1998 and 84 cabins have been going inside for twenty years there. The CWA X models are in incredible shape for their age and number of hours, a testament to their quality construction, dedicated maintenance staff and indoor storage. 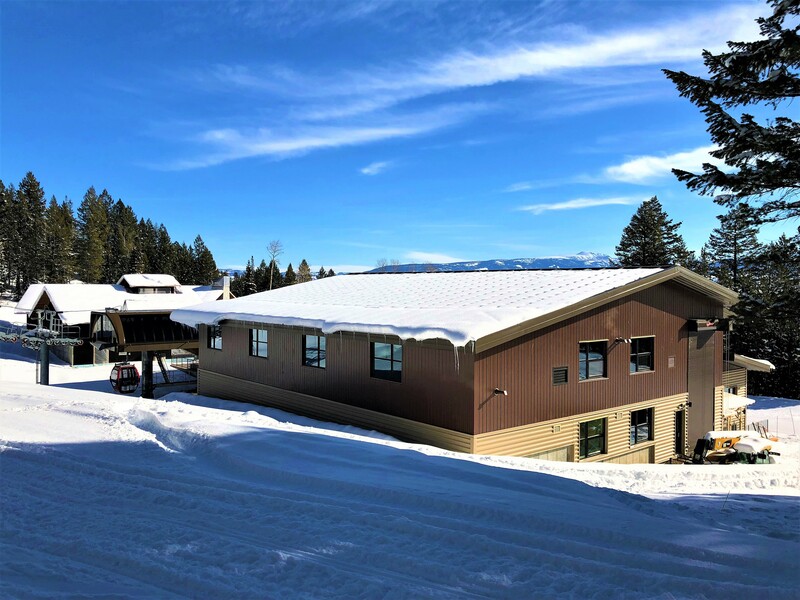 Sweetwater’s new cabin storage building is located in an underutilized area adjacent to the middle station. 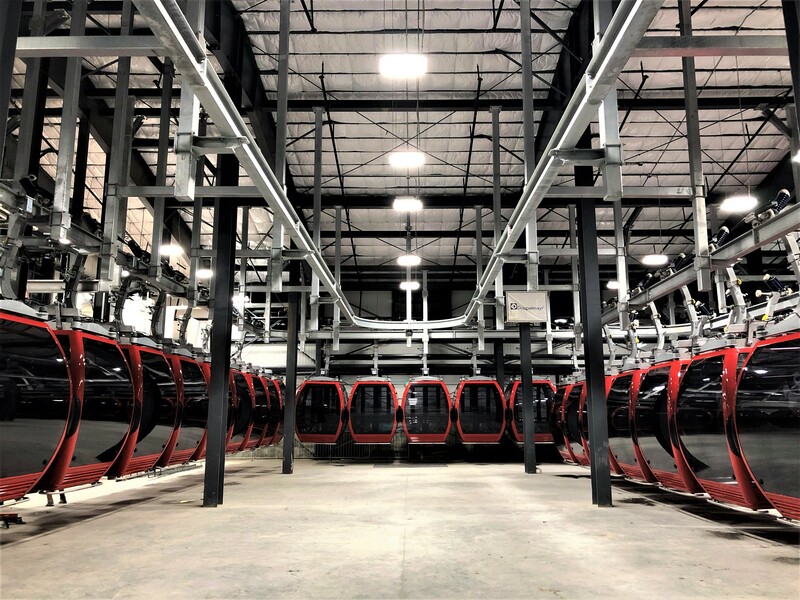 JHMR launched gondola number two in December 2016 and its CWA Omega IV cabins remained on the line continuously until yesterday. 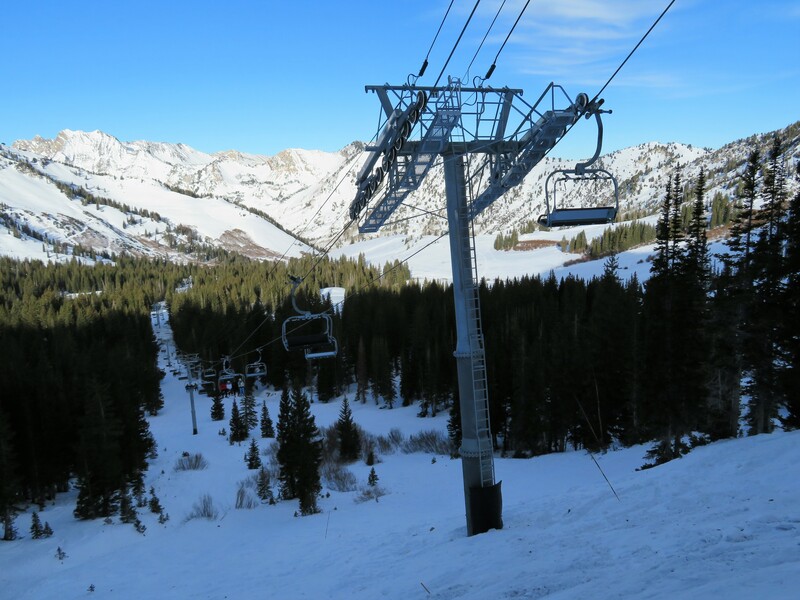 The winter of 2016-17 proved to be a monster in the Tetons and while the cabins performed well, fifty feet of snow often turned to ice on flat roofs. Frozen chunks would bounce up and down, making sounds that mimicked falling metal. Jackson Hole sometimes goes weeks or even months without a thaw and ice would also accumulate on the cabin floors and in ski racks (other fun liquids would freeze too!) Ice storms that can cripple door mechanisms and plague detachable grips thankfully never materialized last year and the days of worrying that storm would come are now over. 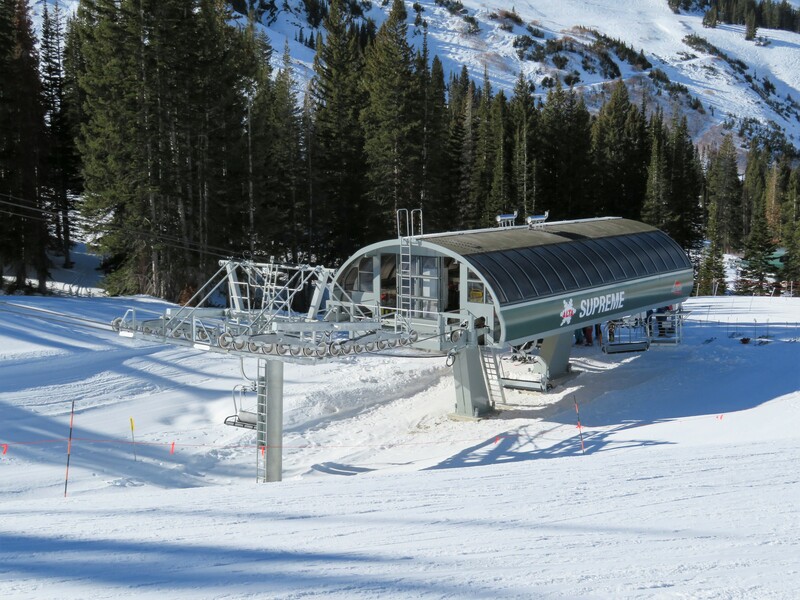 The Snowflake lift at Breckenridge, CO is the only lift of its kind, making a 45-degree turn. Breck has been on my bucket list for a long time. 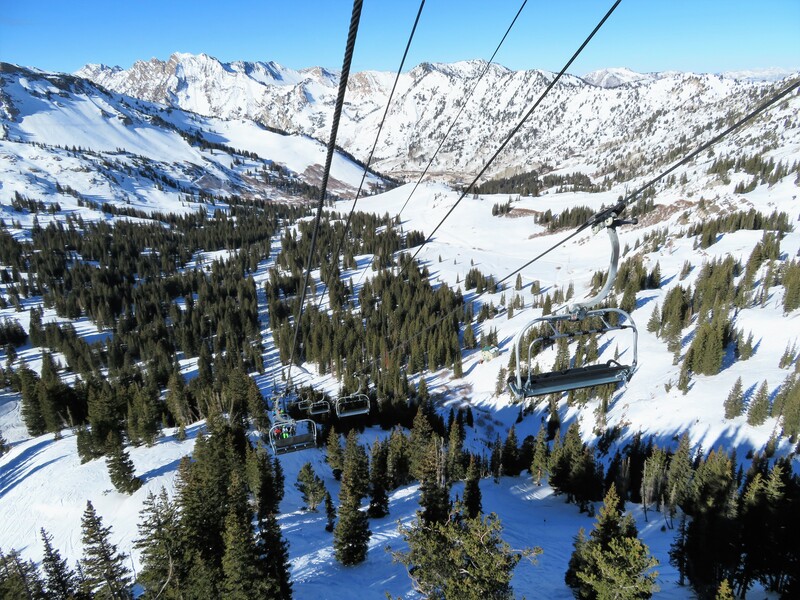 Not because of the skiing, necessarily, but because its collection of 23 lifts is among the most unique anywhere. 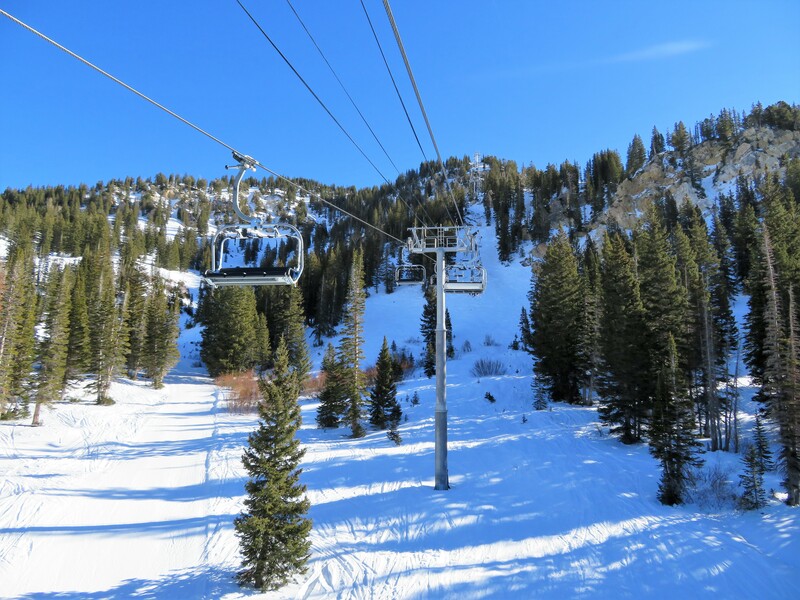 Nowhere else can you find so many lifts with turns (5), lifts that cross other lifts (4), not to mention North America’s only double-loading detachable and its highest elevation chairlift. 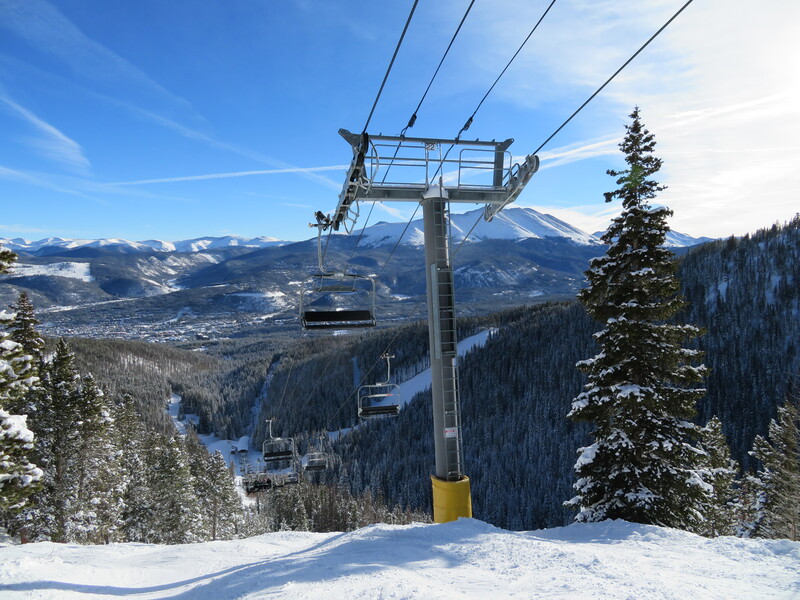 This weekend I made a break for Breck and the three other Colorado Vail Resorts to see what Epic is all about. 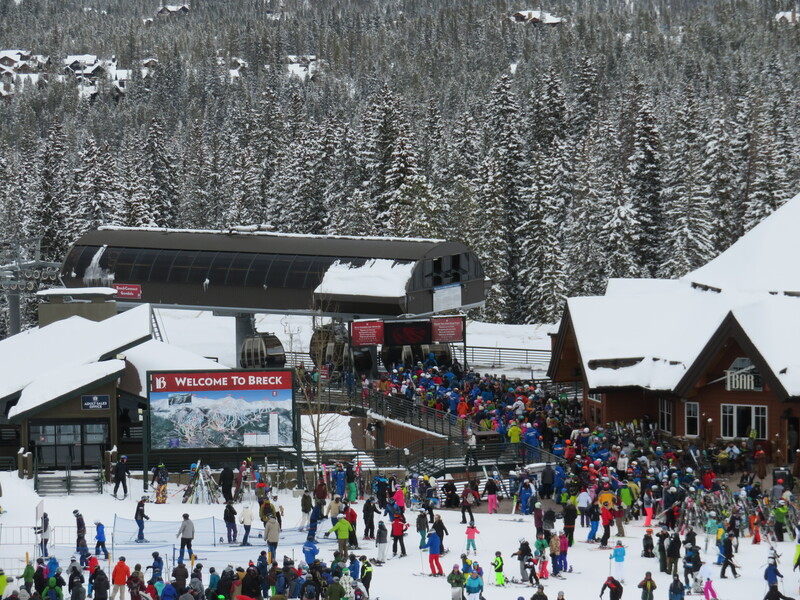 Even with the option to ski back to town via the Four O’Clock ski run, the BreckConnect is an immensely popular transportation solution. 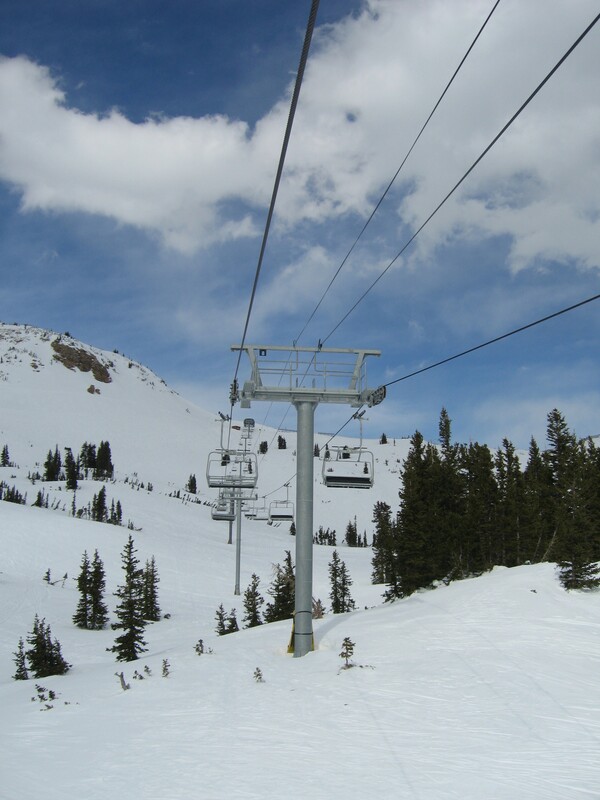 I’ll start with the BreckConnect Gondola, which first connected one end of town to Peaks 7 and 8 in 2006. 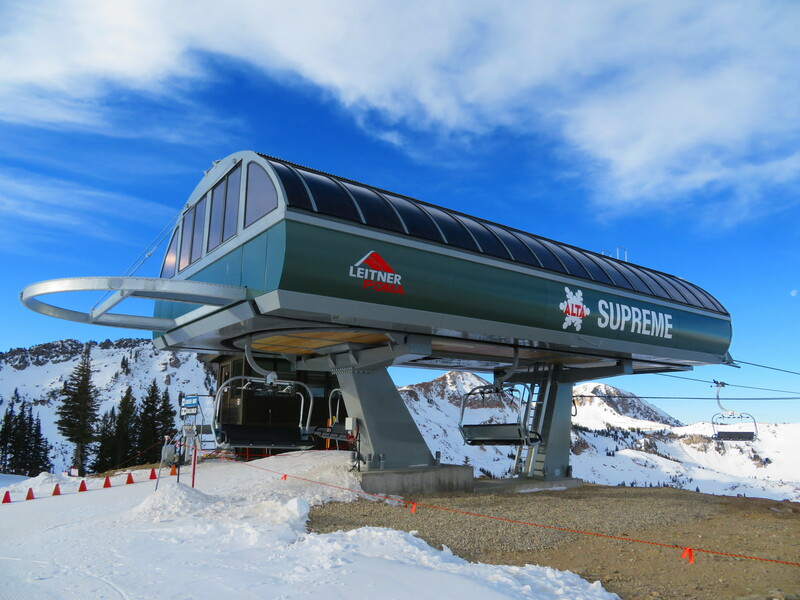 The Leitner-Poma gondola is free and operates both winter and summer. Locals I talked to can no longer remember life without it. 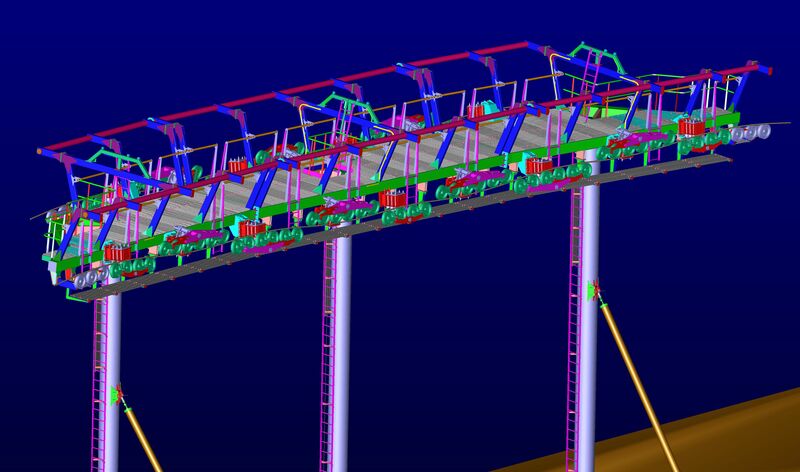 Although it has two mid-stations each with an angle change of more than 40 degrees, the entire system operates with one haul rope. It’s way cooler than taking a bus from the parking lot. The Peak 8 SuperConnect links Peaks 9 and 8 with an angle station in between. Cesar Dockweiler is the General Manager for Mi Teleferico, the growing state-owned gondola network in Bolivia’s capitol city. This week, he’s in Switzerland visiting suppliers working on the Blue and White lines for La Paz, which are about 75 percent complete. Throughout the trip, Mr. Dockweiler has been tweeting updates from CWA and Fatzer to his more than 3,000 followers. Pictures from CWA show how workers still make gondola cabins one at a time and largely by hand. Because the company builds on demand, even a lift with just four cabins can have its own custom design. 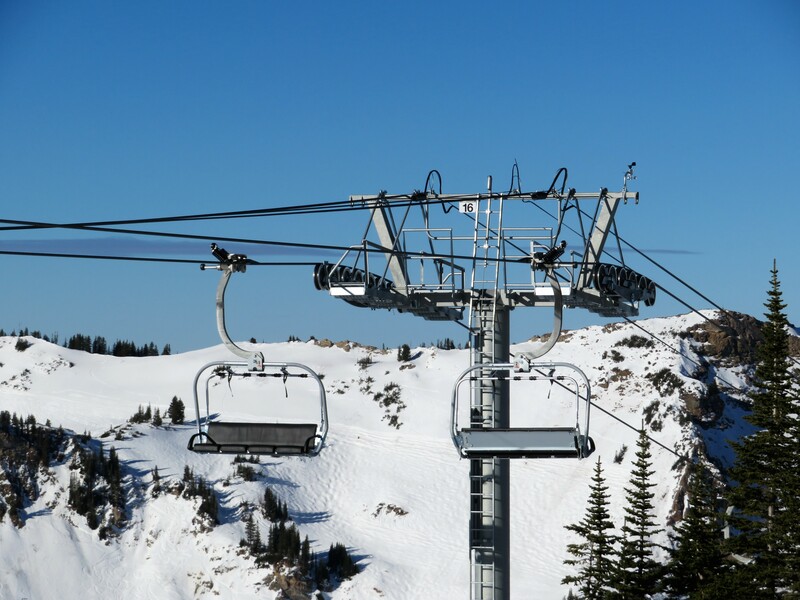 Yesterday Doppelmayr released a series of videos on YouTube highlighting the specifications and features of the company’s latest evolution in detachable technology called D-Line. 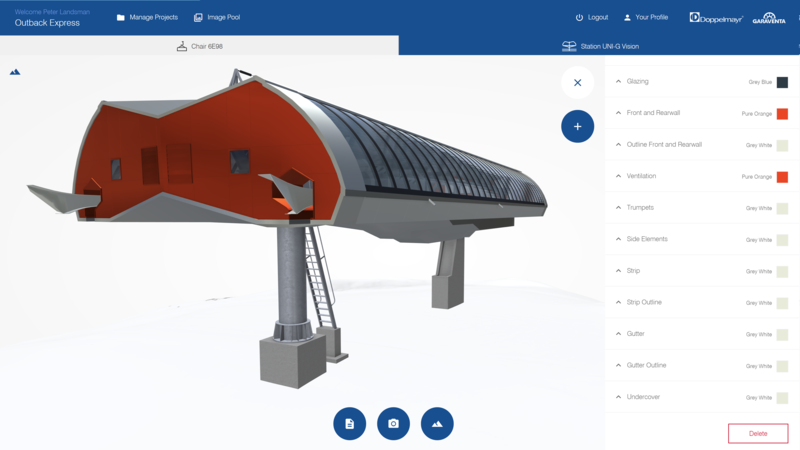 While these are computer animations, there is a real-life prototype at Doppelmayr’s Wolfurt campus and the launch customer opened the first D-Line gondola last December in Hochgurgl, Austria. The first video highlights the CWA Omega IV SI D cabin, which has a simplified hanger and larger overall dimensions. 10-passenger cabins appear to be the standard for D-Line rather than 8-passenger cabins. You can also take a tour of the detachable grip-D with a virtual tear-down. The grip-D can support ropes up to 64mm in diameter, carry up to 4,000 lbs and operate on 45-degree rope inclines. Perhaps most interesting is the Station-D, which has gotten some negative reaction for its appearance. We now learn there is a boxier version utilizing real glass that can even be customized into a video wall. D-Line will be available in North America in 2017 alongside the current-generation UNIG terminals and Agamatic/DT grips offered by Doppelmayr. 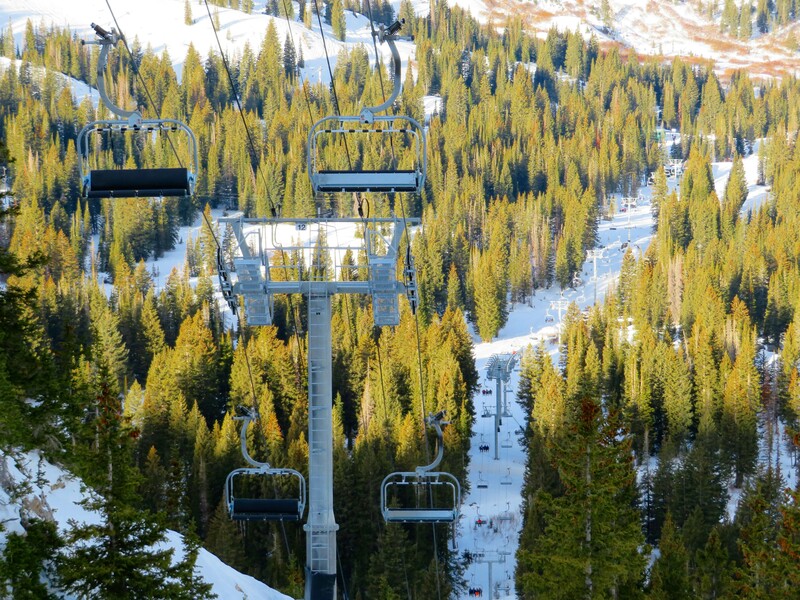 Will Detachable Lifts Get Faster? 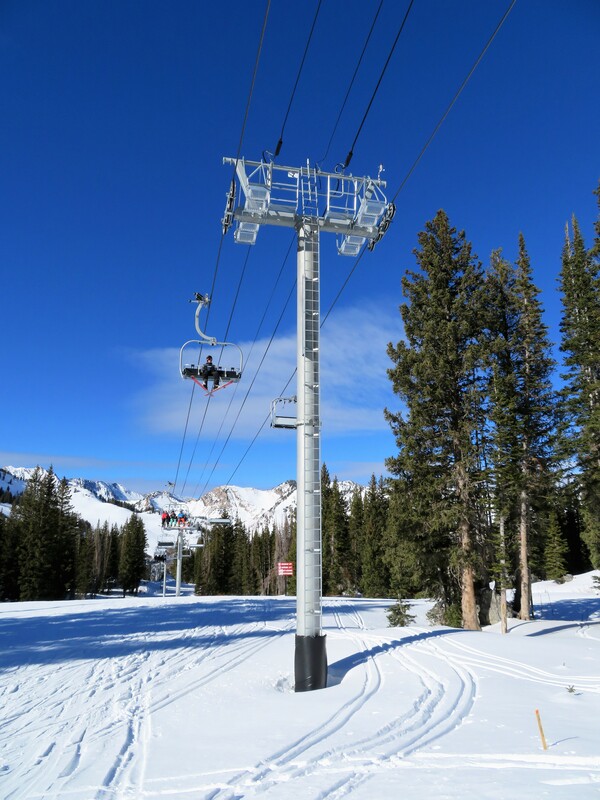 There’s a lively discussion going on over at Alpinforum about the future of detachable lifts, which haven’t gotten much faster despite huge advances in technology over the last thirty years. 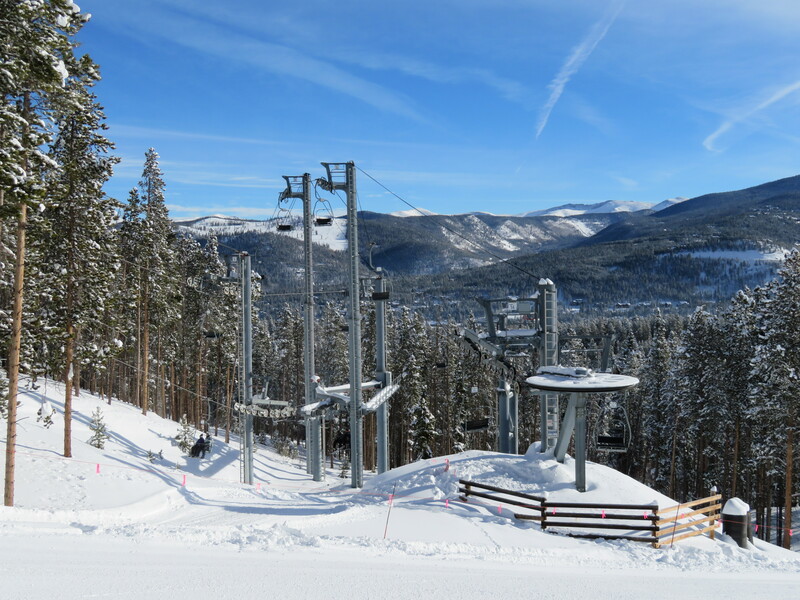 The first modern detachable chairlift, Quicksilver at Breckenridge, went 787 feet a minute when it debuted in 1981. 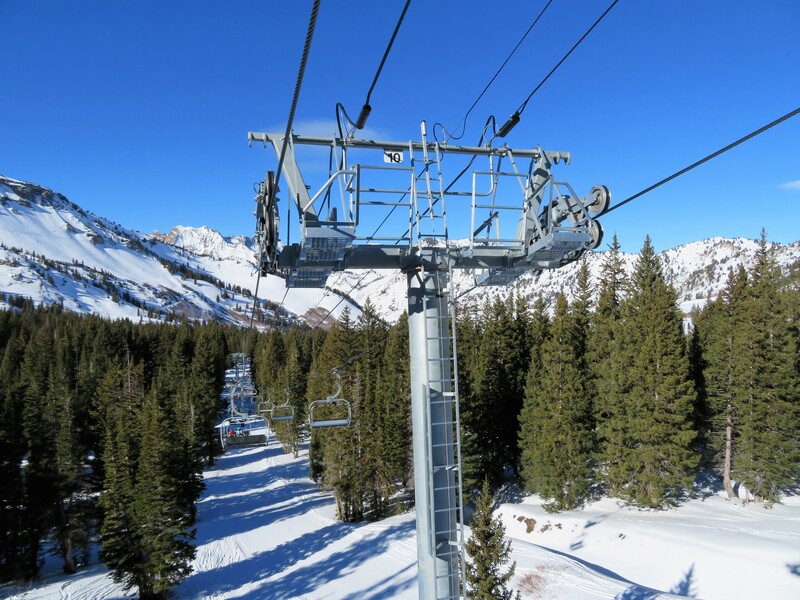 Since then, manufacturers have installed hundreds of gondolas and chairlifts capable of going more than 1,000 fpm. 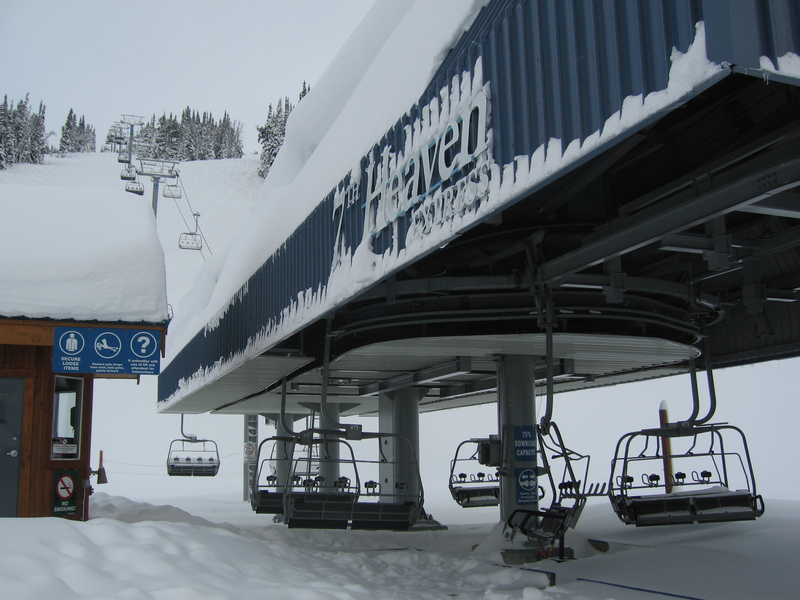 The first lift to go 1,100 fpm was the Whistler Village Gondola in 1988 and the first capable of 1,200 fpm was Stowe’s gondola in 1991. Both were built by Poma, the early adopter of faster line speeds. 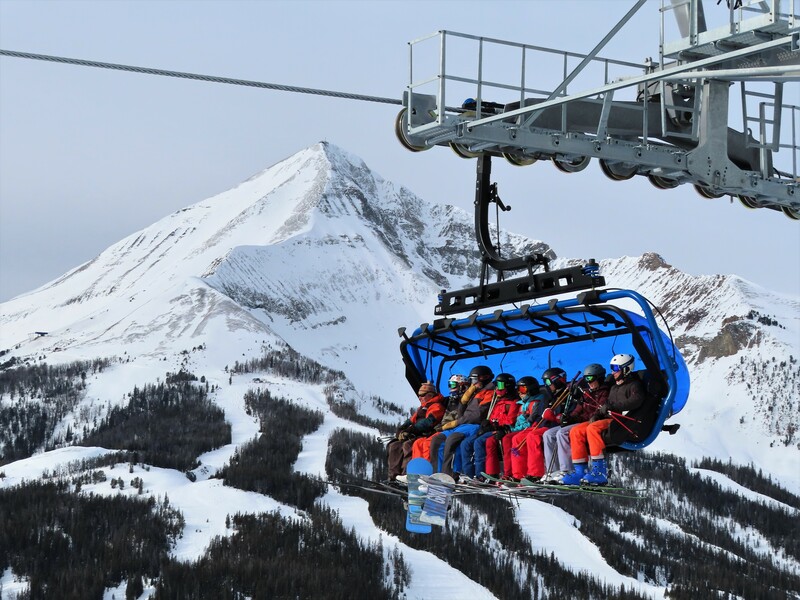 The only detachable installed in North America since 1991 capable of traveling any more than 1,200 fpm is the Peak 2 Peak Gondola, debuting in 2012. As a tri-cable gondola, P2P has an impressive capability of 1,476 fpm (7.5 m/s.) 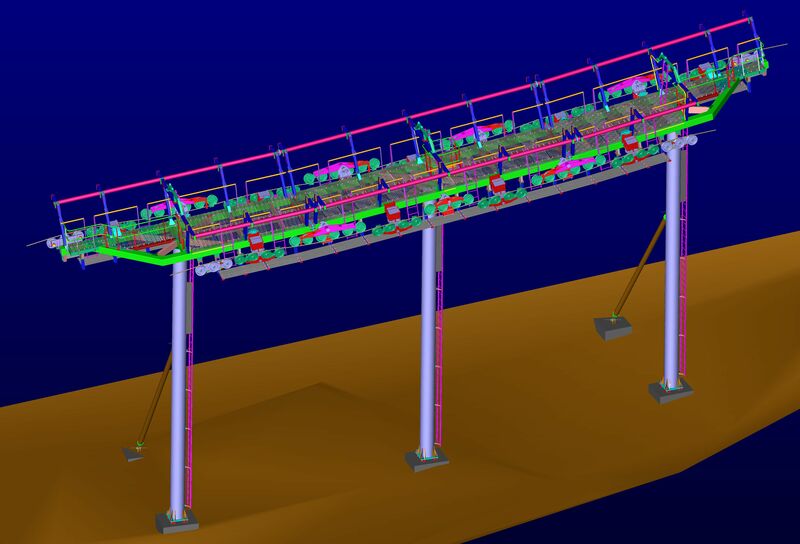 Doppelmayr claims similar systems can go up to 1,670 fpm (8.5 m/s.) So far, the fastest 3S ever built goes 8 m/s and one that can go 8.5 will debut in Vietnam next year. Meanwhile, 1,200 fpm (6 m/s) remains the highest speed for a single cable detachable, a stat that hasn’t changed since 1991. 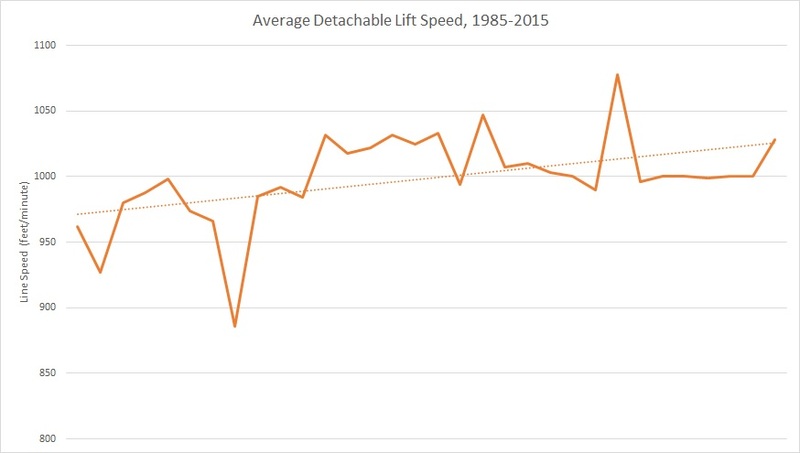 From 1984 to 2015, the average speed of a detachable lift in the U.S. increased by only 900 feet a minute. 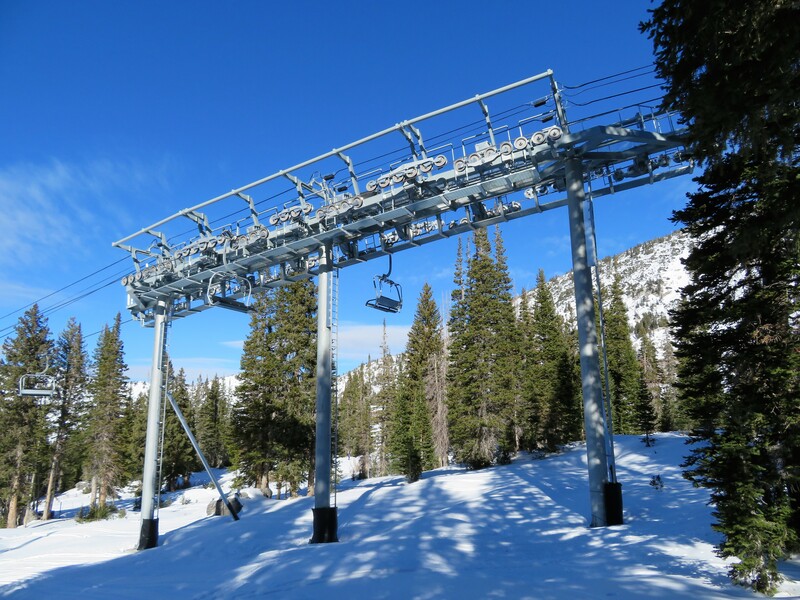 The truth is the vast majority of detachable lifts built these days have the standard design speed of 1,000 fpm (5.08 m/s) and operate even slower much of the time. 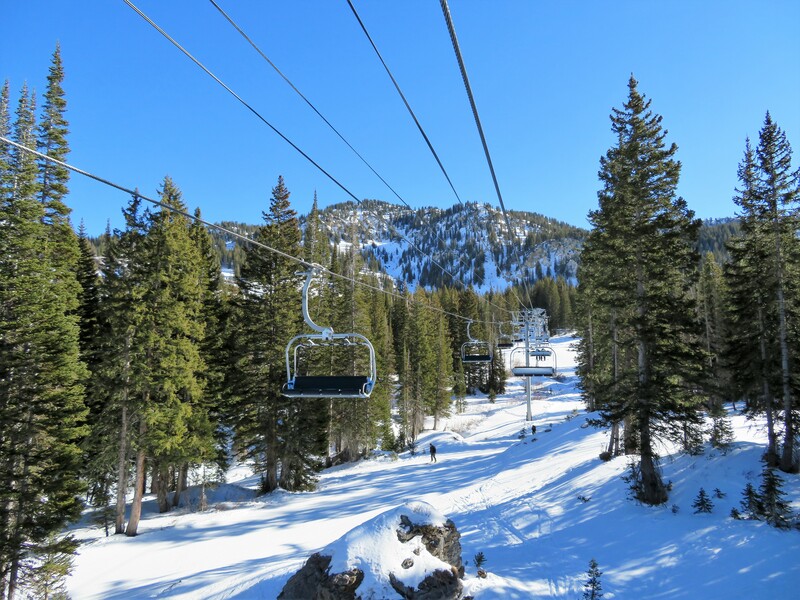 In my experience, many ski areas run so-called high speed lifts at 800 or 900 feet a minute on all but the busiest of days. 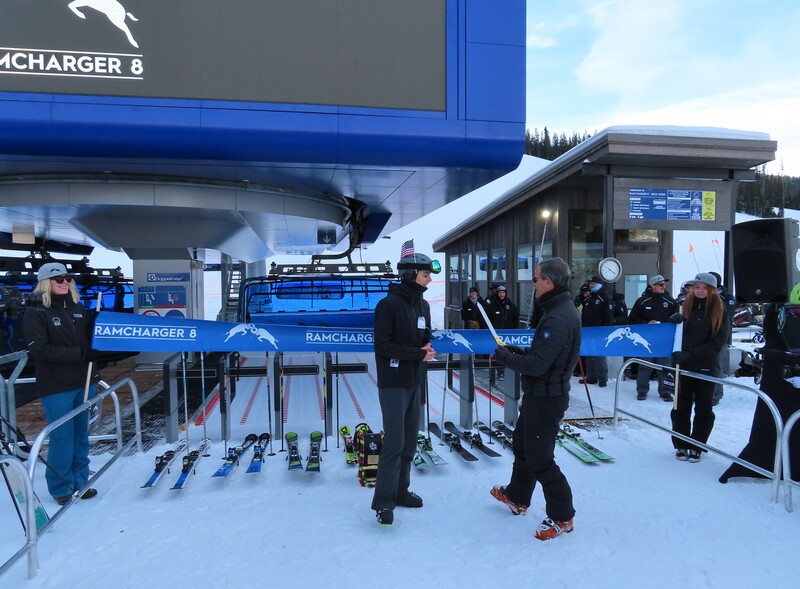 As users on Alpinforum note, ski resort operators care more about reducing stops, wear and tear than shaving thirty seconds off a ride time that the average guest won’t even notice. We’re used to lifts that run in a perfectly straight line between terminals but sometimes a lift just has to have a turn. Common reasons for this uncommon occurrence include buildings in the preferred alignment and challenging property lines. Most lifts with turns are detachable systems with angle stations which are very expensive. But not all lifts that need to turn require loading or unloading mid-way. In a handful of these cases, lift manufacturers have avoided the need for angle stations or extra bullwheels by designing towers with canted sheaves. Look closely at the very top of Six Shooter at Big Sky. The last few towers are in a different alignment than the rest of the lift. 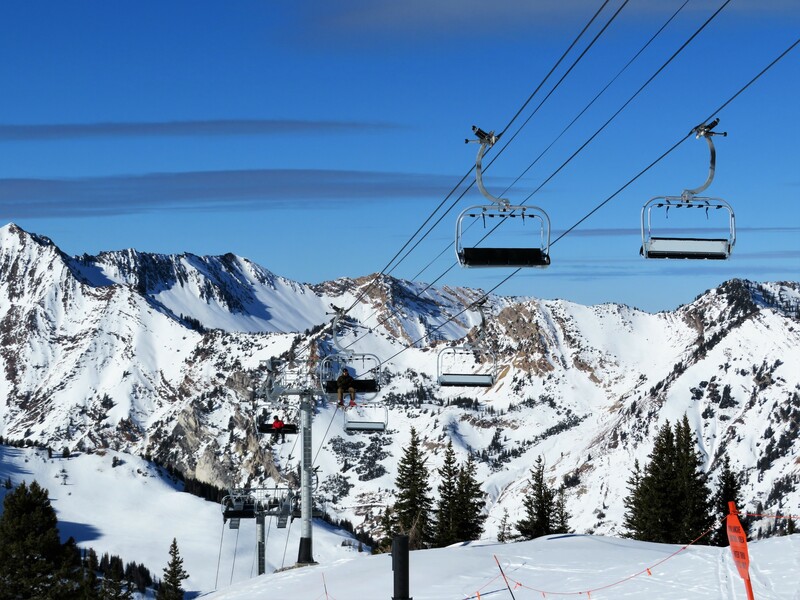 The Baldy Express at Snowbird also does not run in a straight line. It’s by design! 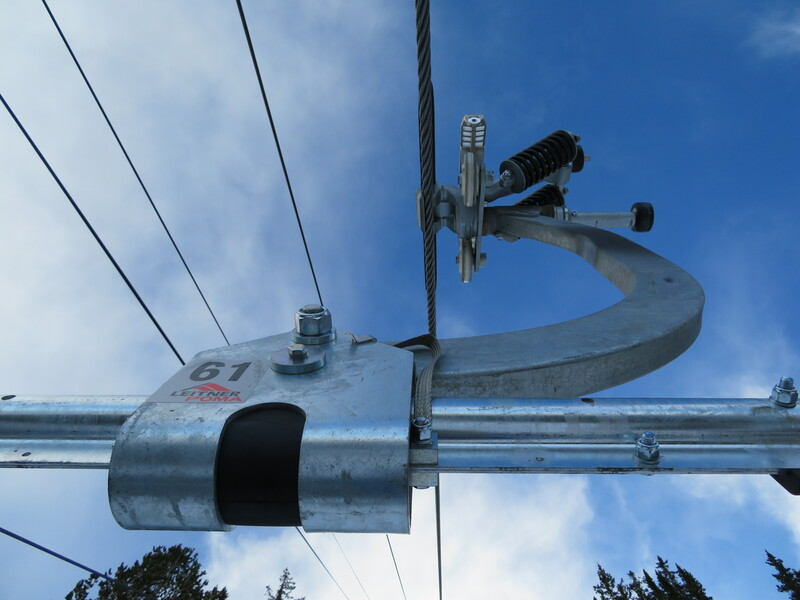 Most of the lifts that turn using angled sheaves were built by Doppelmayr CTEC and its predecessor Garaventa CTEC and turn less than five degrees. A turn is typically accomplished over three towers with the middle of the three being a depression assembly. 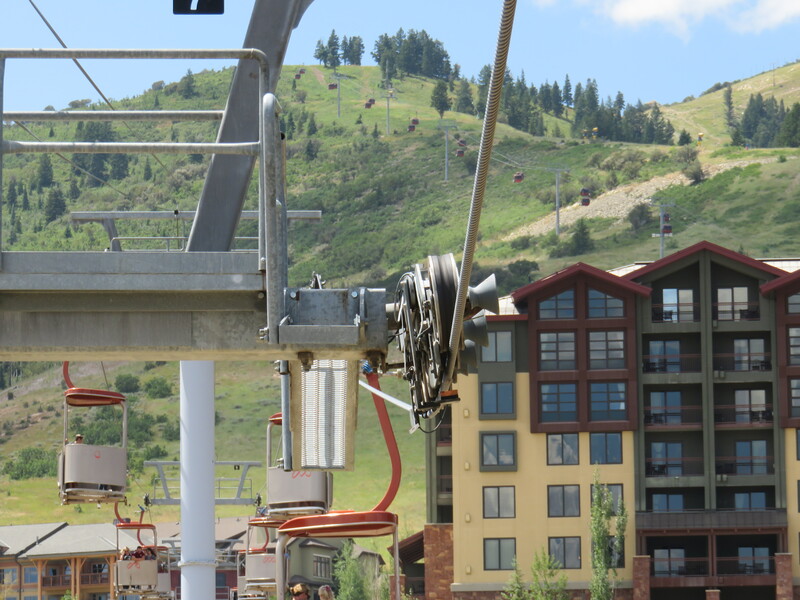 The Cabriolet at Park City (formerly Canyons) was the first modern lift with this setup and opened in 2000, connecting the main parking lot to village. Its five degree turn was required due to private property lines and existing buildings. Canted sheaves on the Cabriolet at Park City, a 2000 Garaventa CTEC Stealth detachable. 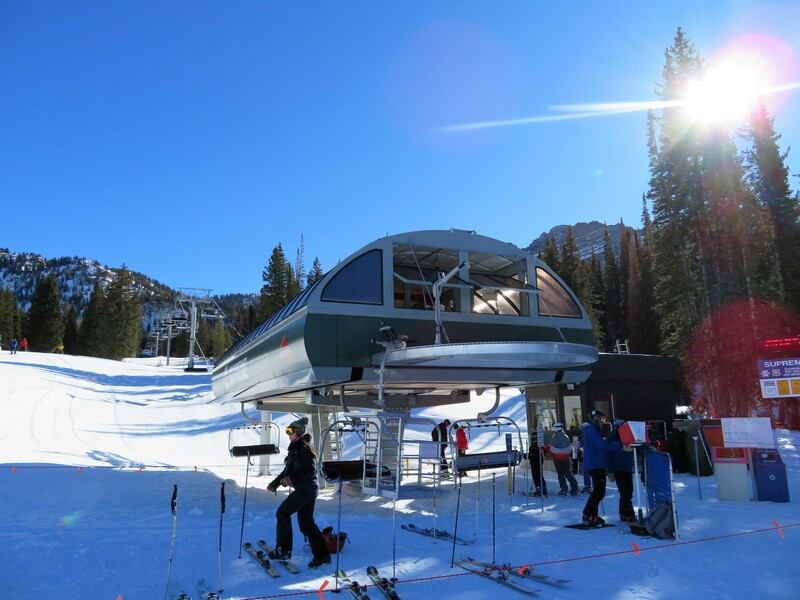 A year after the experiment at The Canyons, Garaventa CTEC built another detachable with a turn for Snowbird. 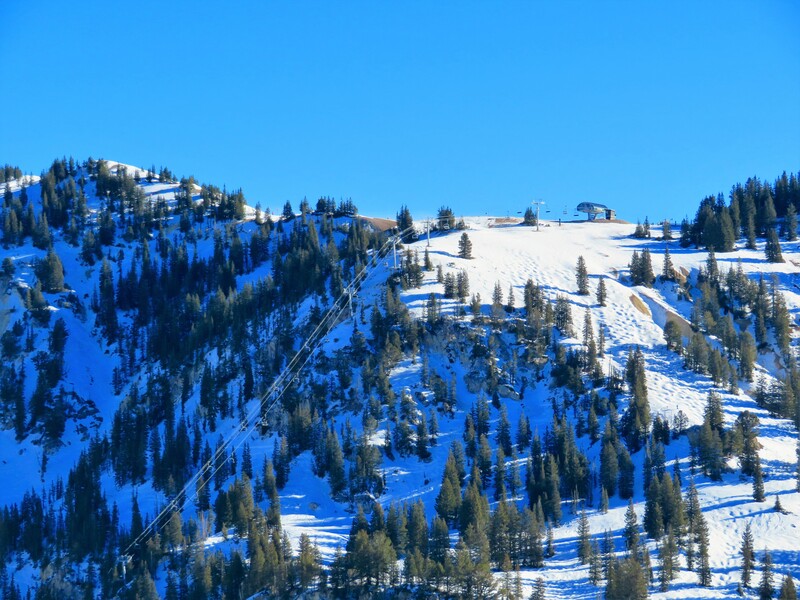 The Baldy Express turns between towers 10 and 12 again due to private property lines. 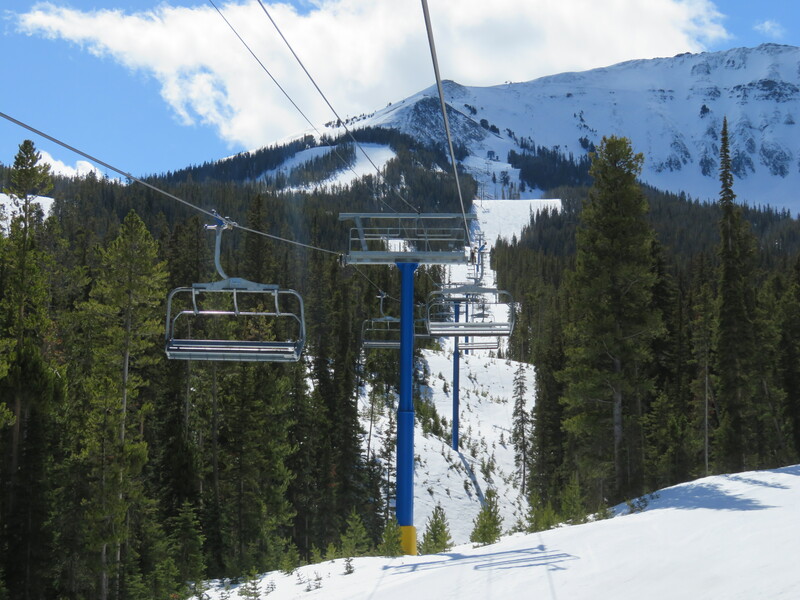 The first six pack with a turn was the Six Shooter at Big Sky (formerly Moonlight Basin) which was built in 2003 and has a couple degree turn between towers 24 and 26. 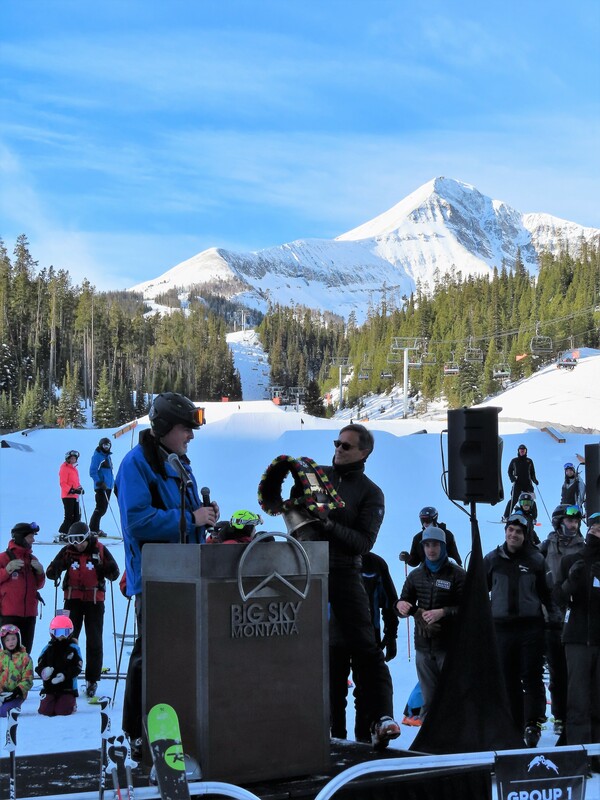 I’ve heard Six Shooter’s turn was due to a surveying mistake that would have put the top terminal on Big Sky Resort’s property. Doppelmayr CTEC engineered the turn rather than re-doing a bunch of tower bases. The irony here is that ten years later Big Sky ended up buying the land and lifts anyways.